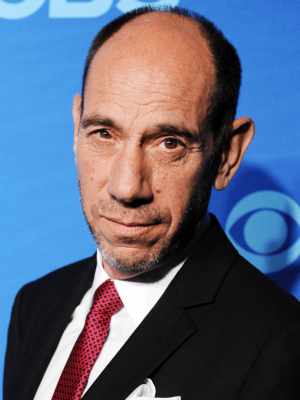 Miguel Ferrer was born on 7th February 1955, in Santa Monica, California USA, and is an actor best known to the world for portraying villains, including Bob Morton in “RoboCop” (1987), among others, and also characters on the side of the law such as FBI Agent Albert Rosenfield in “Twin Peaks” (1990-1991), and Owen Granger in “NCIS: Los Angeles” (2012-2017). Miguel`s career began in the early ‘80s. Have you ever wondered how rich Miguel Ferrer is, as of early 2017? According to authoritative sources, it has been estimated that Miguel`s net worth is as high as $2 million, earned through his successful career in the entertainment industry. Migue is the first of five children born to performers José Ferrer – who won both Oscar and Tony Awards during his career – and Rosemary Clooney, who was a popular singer in ‘60s. Miguel is of mixed heritage; his father is Puerto Rican, while his mother had English, German and Irish ancestry. Before he became an actor, Miguel aspired to become a musician, and played drums on Keith Moon’s album “Two Sides of the Moon” (1975). Nevertheless, Miguel was friend with Bill Mumy at the time who had a role in the TV series “Lost in Space”, and who secured him the role of a drummer in the TV series “Sunshine”; this was Miguel`s first appearance on screen. He then began to seriously pursue an acting career, and during the early ‘80s featured in bminor roles in several TV series, including the “Magnum, P.I.” (1981), “CHiPs” (1983) and others, only to make his breakthrough in the Paul Verhoeven`s sci-fi action “RoboCop” (1987), starring Peter Weller, Nancy Allen and Dan O’Herilhy. This lit the fire under his career and Miguel’s name started to become known in Hollywood. He continued to portray villainous characters, including Snyder in “DeepStar Six” (1989) and biker in “Valentino Returns” (1989), while also playing Amador in “Revenge” (1990). In 1990 he was selected to play FBI Agent Albert Rosenfield in David Lynch’s crime mystery TV series “Twin Peaks” (1990-1991), and repeated his role in the film “Twin Peaks: Fire Walk with Me” (1992). In 1991 he was cast in the role of Wilhoite in the drama “Murder in High Places” next to Adam Baldwin, and continued to take lead roles in films during the 1990s, in such productions as “The Harvest” (1992), “Hot Shots! Part Deux” (1993), “Jack Reed: A Search for Justice” (1994), “A Promise Kept: The Oksana Baiul Story” (1994), among others all of which increased his net worth. Nothing changed in the second half of the decade as Miguel starred in such films as “Death in Granada” (1996), with Andy Garcia, “The Nigh Flier” (1997) and “Where’s Marlowe” (1998), adding further to his net worth. Miguel started the new millennium with a role in the highly successful Steven Soderbergh drama thriller “Traffic” that won four Oscars, and featured stars such as Michael Douglas, Benicio Del Toro and Catherine Zeta-Jones. In 2001, he was selected for the role of Dr. Garret Macy in the TV series “Crossing Jordan” (2001-2007), and played in 117 episodes, which only further increased his net worth. While the show lasted, Miguel worked on other projects, including the films “Shadow Realm” (2002), “Silver City” (2004), and “The Man” (2005), with Samuel L. Jackson in lead role. After that he had several smaller roles in TV series, until in 2009 when he was cast as Vincent in the action film “Wrong Turn at Tahoe”, next to Cuba Gooding Jr., and Harvey Keitel, while in 2011 he portrayed Lieutenant Felix Valdez in the TV series “The Protector”, and Andre Zeller in “Desperate Housewives”. The following year he was selected for the role of Owen Granger in the crime mystery TV series “NCIS: Los Angeles”, and so far has appeared in 105 episodes, certainly maintaining his net worth. In the meantime, Miguel had roles in the films “Applebaum” (2012), “The Courier” (2012), “Iron Man 3” (2013) with Robert Downey Jr., and Gwyneth Paltrow, and also in the Twin Peaks sequel “Twin Peaks: The Missing Pieces” (2014), reprising the role of FBI Agent Albert Rosenfield. Also, he will also portray Albert Rosenfiend in the TV series “Twin Peaks” (2017). Thanks to his skills, Miguel has received several prestigious awards, including the SAG Award for the film “Traffic” (2000). Regarding his personal life, has been married to Lori Weintraub since 2005. Previously, he was married to actress Leilani Sarelle from 1991 until 2003; the couple has two children.